Today, I am using the Gently Seasoned 2 stamp set that was released this month. That tree is absolutely adorable and I love that you can dress it up for every season of the year! There is even a cute little Christmas Lightbulb that I can't wait to use for some Christmas cards. I kept this card pretty simple so it could be used for any time of the year and just created a pretty watercolor sunrise/sunset background with the Zig Clean Color Real Brush watercolor pens. I first stamped my tree with Tsukineko Versafine Onyx Black ink and colored the background. Due to all the layers, I under up needing to re-stamp the tree and I was able to do this because I used the MISTI stamping tool. I was able to put my paper back in the exact same spot with this tool and since I had not removed the stamp could ink it back up and get the perfect placement. When I re-stamped it, I decided to make it pop even more by adding a coat of clear embossing powder. I was able to salvage a card I probably would have had to throw away if it wasn't for the MISTI tool. I'm completely sold on it! Here is a close up of the watercolor. I love creating these clean and simple cards using watercolors! 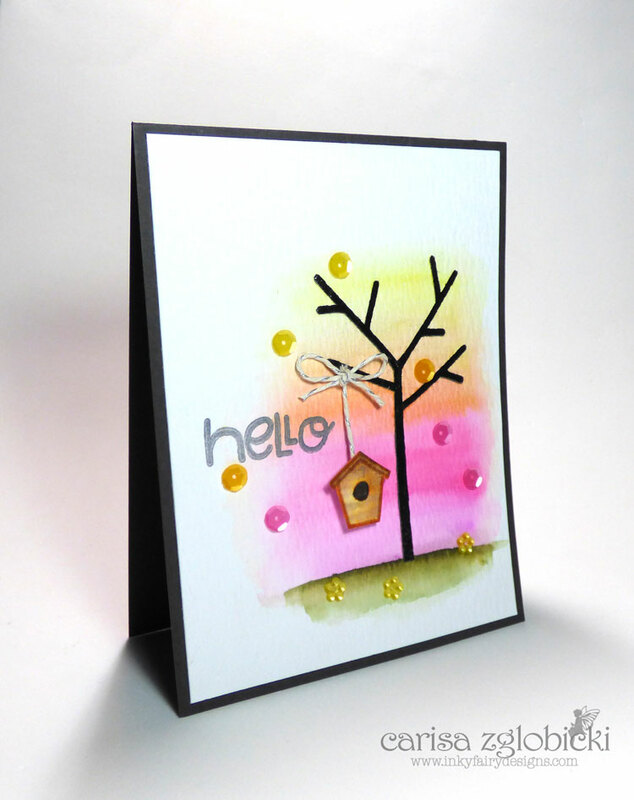 I stamped the birdhouse from the same set with some distress ink and gave it a bit more watercolor using more distress ink before fussy cutting it out. I added some twine to hang the birdhouse, used some foam adhesive and adhered it to my card. 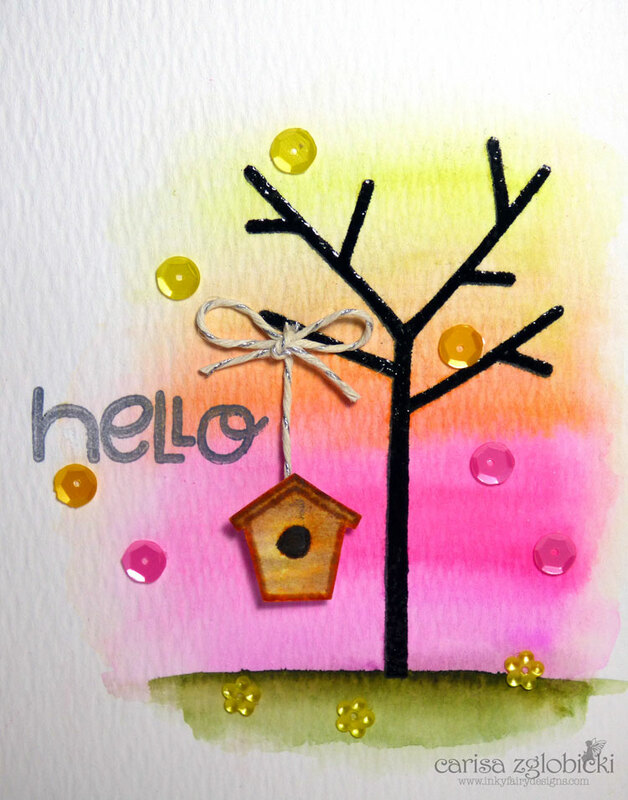 A sprinkling of some fun Summer Mix sequins by Pretty Pink Posh and this card is complete!